Block Allocation Size: The size of each block being written. 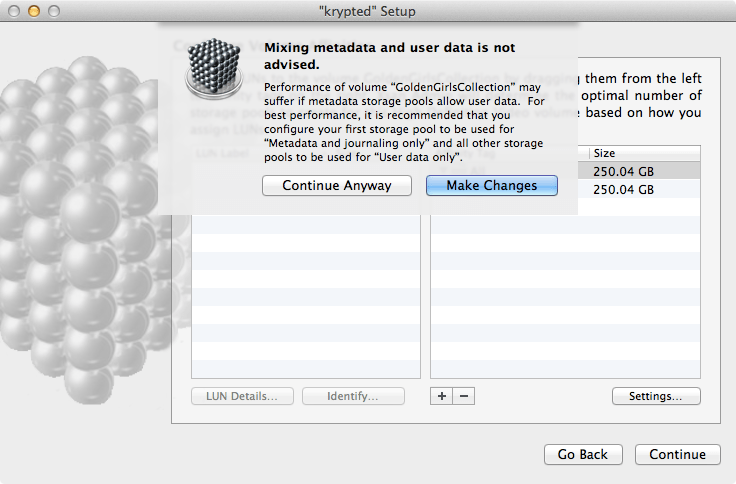 Allocation Strategy: Round Robin is the fastest but evenly distributes data across potentially uneven pools of storage. Balance automatically chooses the allocation to even pool utilization. Fill fills each pool before moving to the next pool. 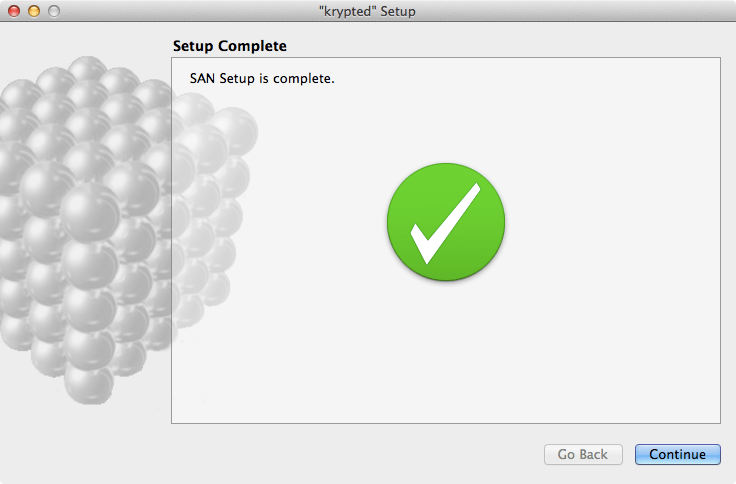 99% of the SANs I’ve configured have been Round Robin, unless I’m trying to reallocate data, which I typically do with the snfsdefrag command, so most will select the default setting here of Round Robin. 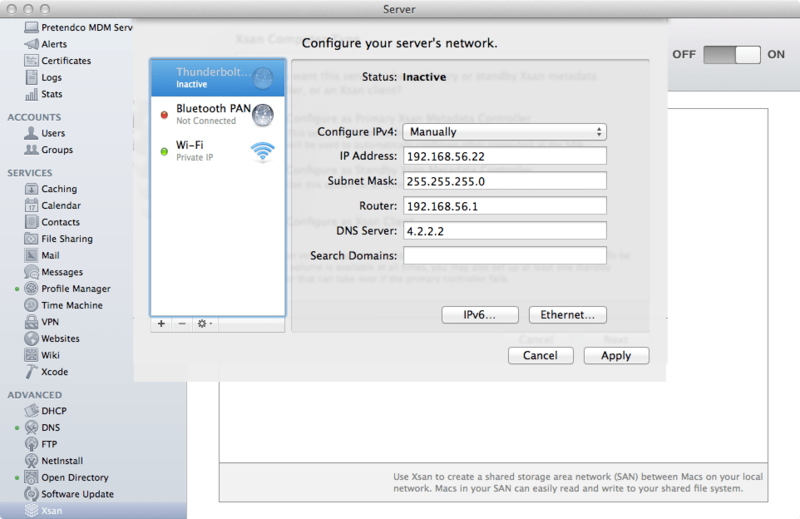 Spotlight: If you see a lot of mdutil errors in the logs or find certain apps weird, you can disable this but as of Mountain Lion, the service works much better than it did in previous versions, so I usually leave it enabled now. 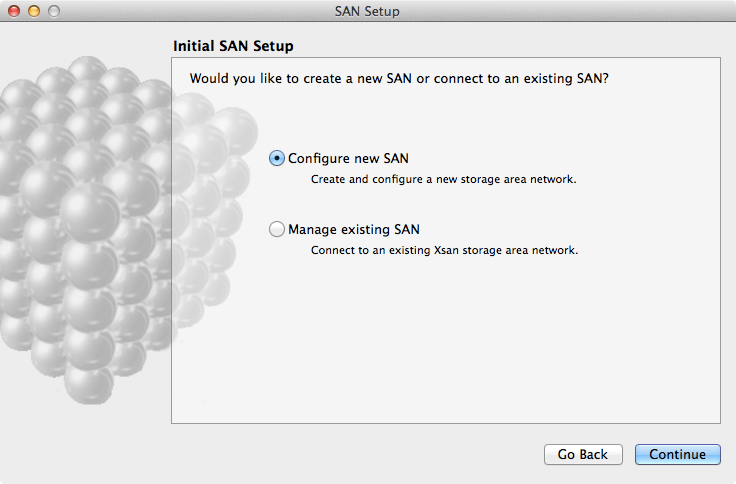 Native Extended Attributes: I usually disable this option as we’ve had lots of problems with Extended Attributes on Xsan-based volumes. 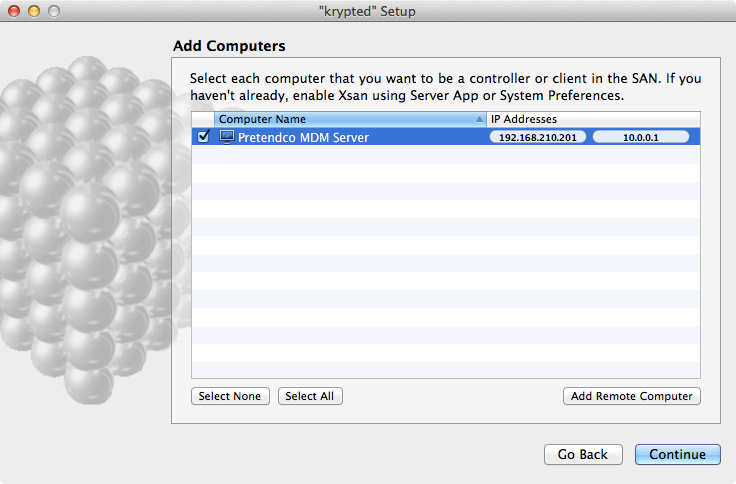 Access Control Lists: Allow permissions via ACLs. 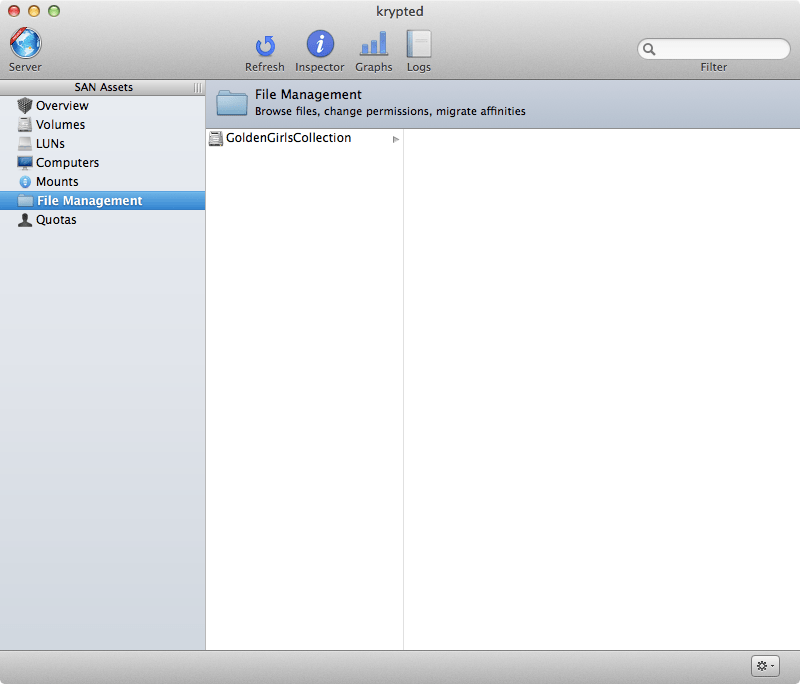 Cases Insensitivity: Disable this feature to switch to a case-sensitive file system. 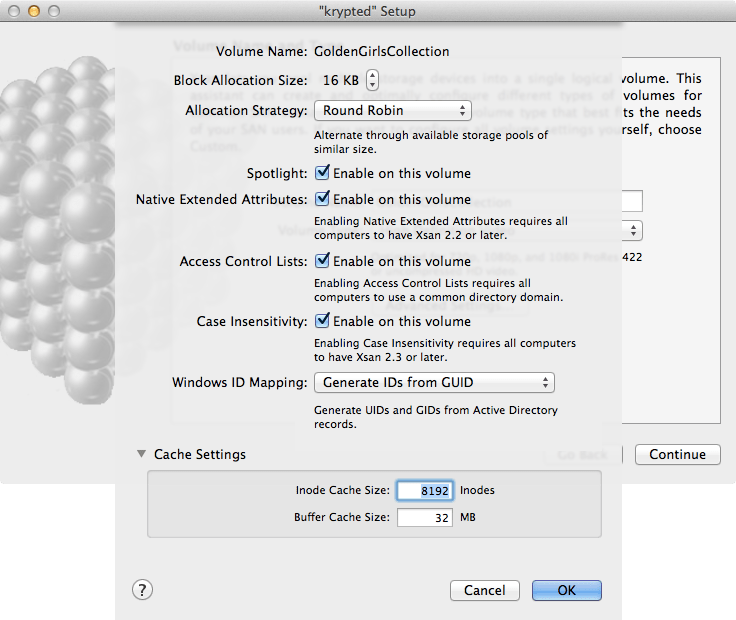 Cache Settings: Can be helpful for database and 4k video workflow environments. 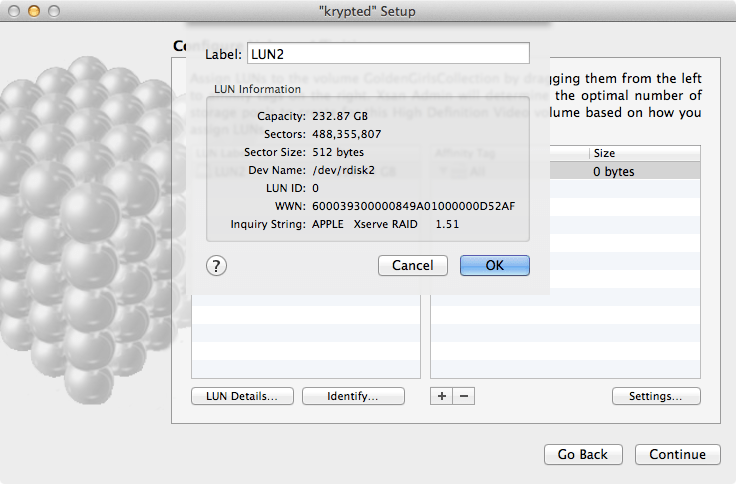 Overview: Shows volumes, capacity of each and some basis statistics. Volumes: Click here to see more detailed information about volumes, including pools and LUNs that comprise those volumes. 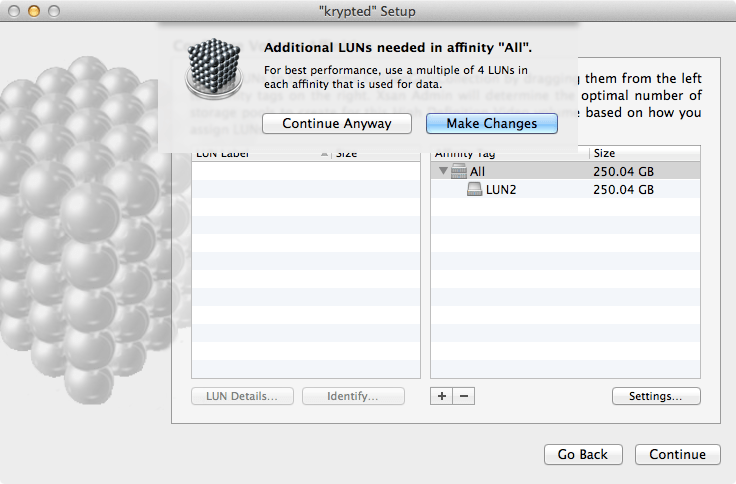 LUNs: Click here to see a list of the arrays, or LUNs that are available and labeled. 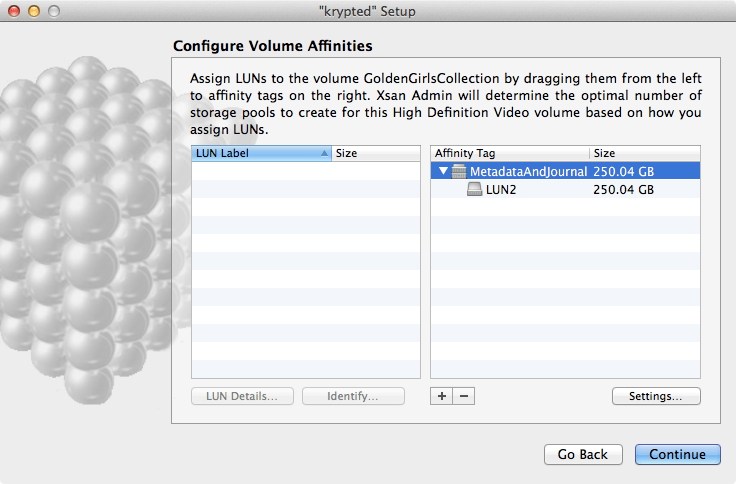 One of the columns also displays the volume that each LUN is a part of (LUNs can only be part of one pool or volume in order to keep data from overwriting segments of the drives). 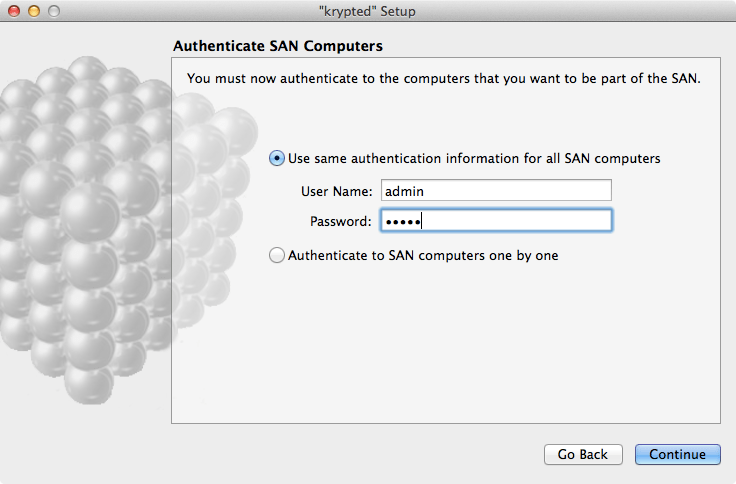 Computers: A list of computers, where you can authenticate to systems, add computers to the SAN (provided Xsan is enabled on the client and you have authentication credentials) and see errors (e.g. 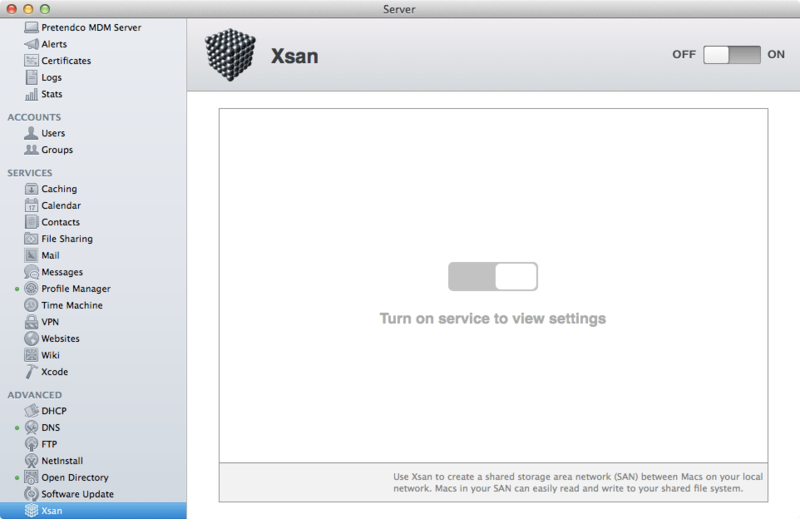 no LUNs visible might mean that the fibre channel is disconnected). 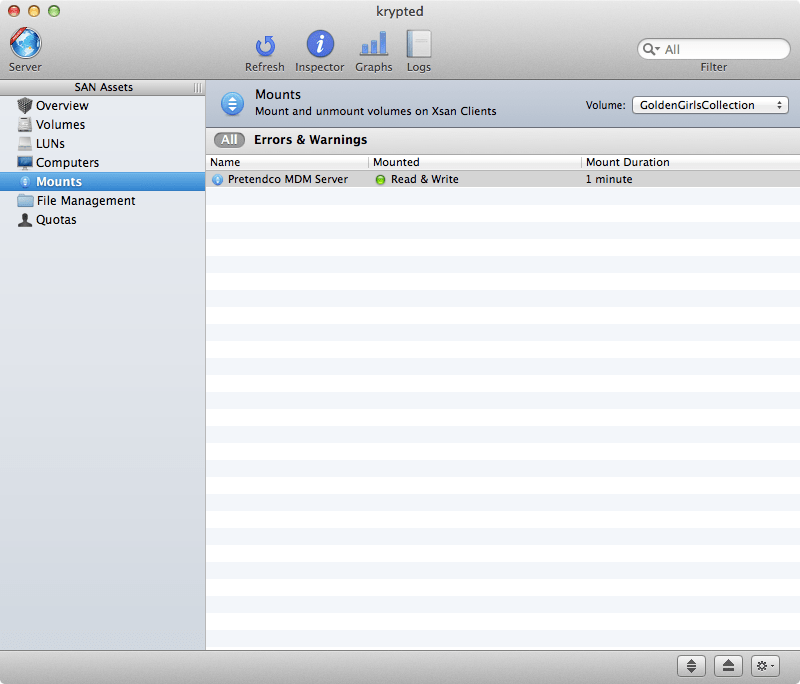 Mounts: See a list of volumes and which clients have which volumes mounted. 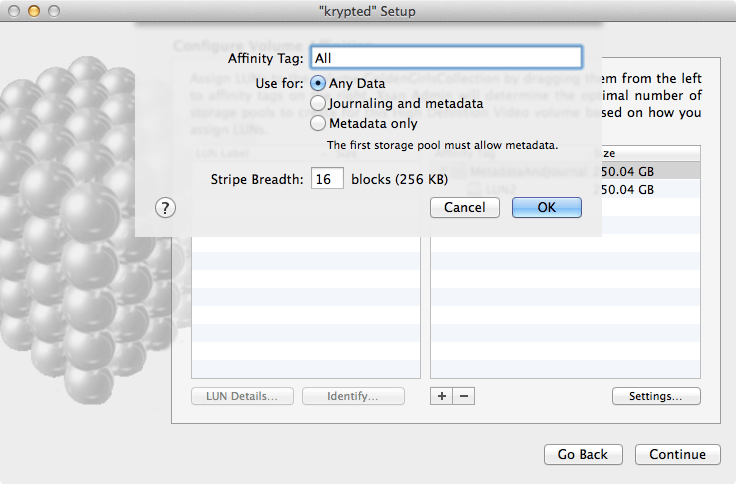 File Management: Configure affinities (which map storage pools to folders) and augment permissions on objects within volumes. 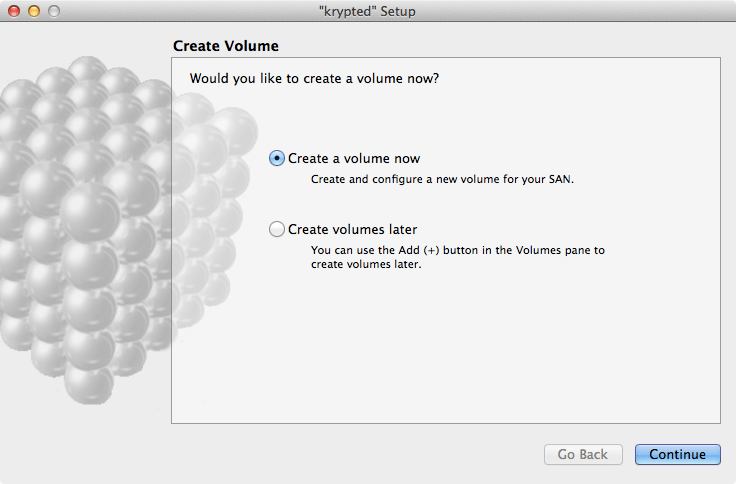 Quotas: Configure maximums for placing data on volumes. 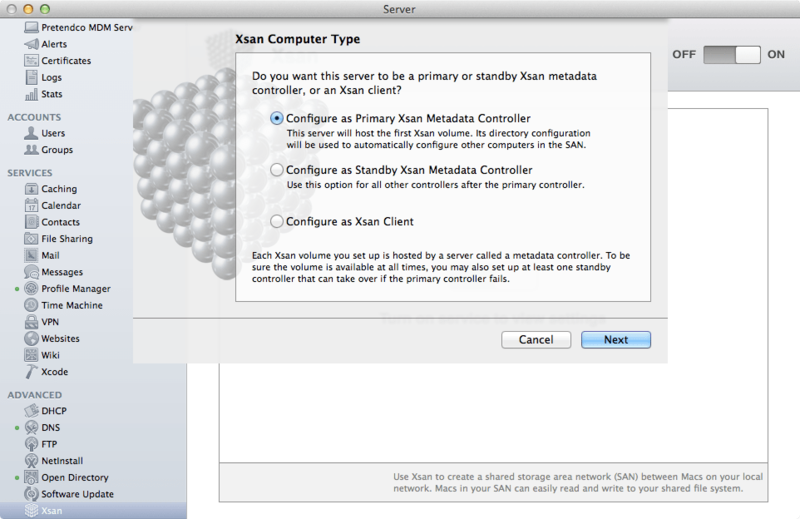 Click on Volumes from Xsan Admin. Here, you’ll see a list of volumes. 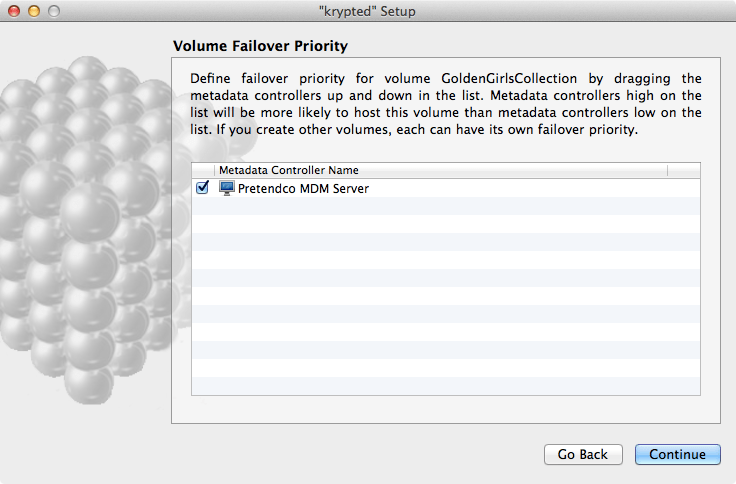 You’ll also see which metadata controller is currently hosting the volume, the size and available capacity of the volume. 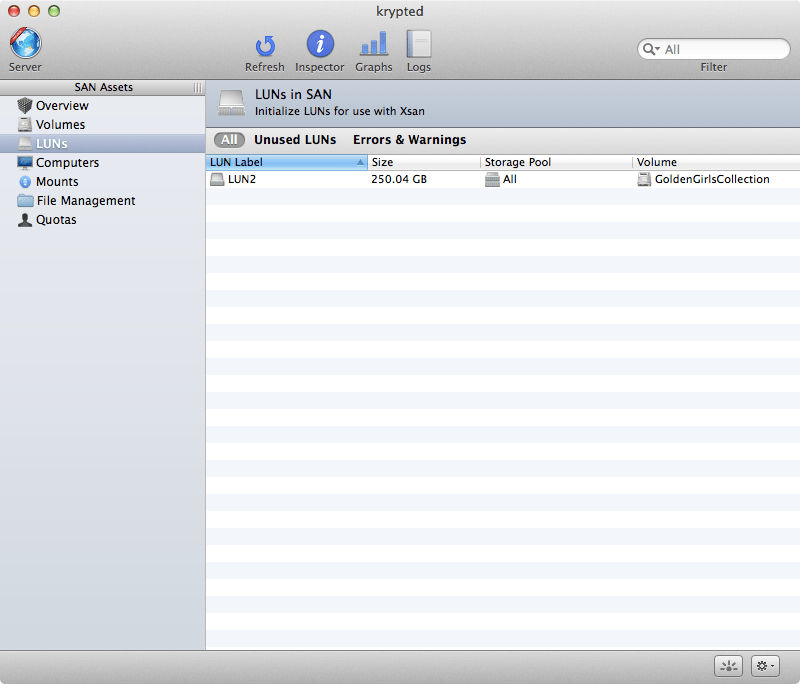 Use the Inspector (click on Inspector with a volume highlighted) to look at details of the volume If you click on LUNs, you can label new LUNs when preparing to add storage to Xsan or if a LUN has a yellow warning light on it, you can identify storage that the SAN can’t see. 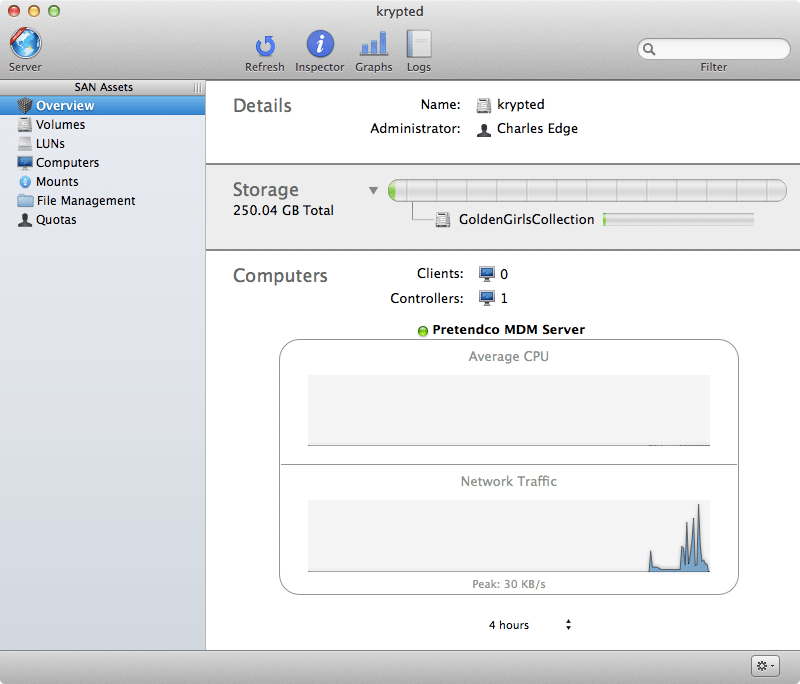 If you click on Computers, you can use the Inspector to see more detailed information about each. Click on Mounts and then you can select each volume and control who has it mounted and whether it’s mounted as Read Only or Read & Write. 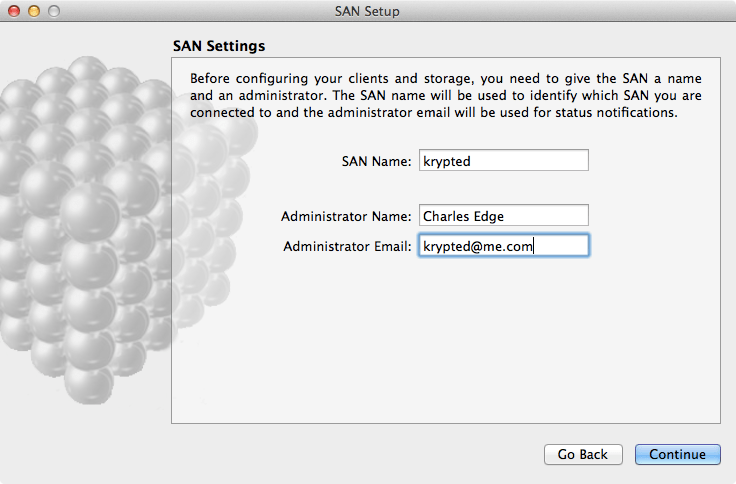 Click on File Management. 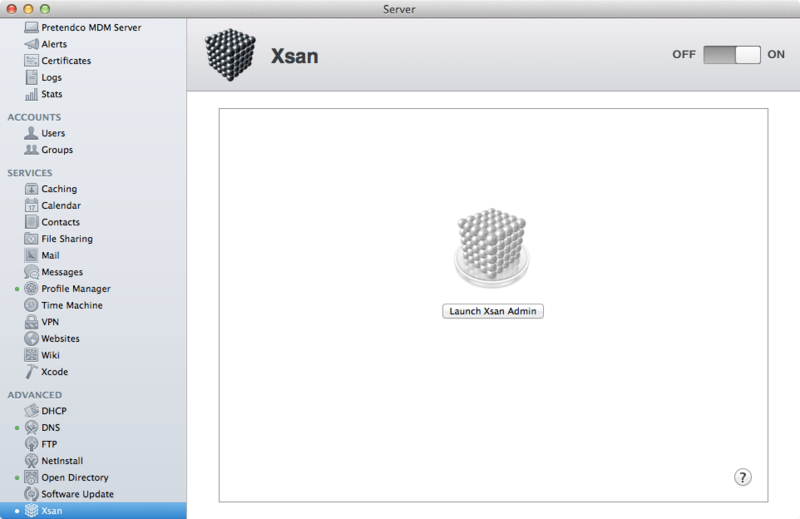 Here, you can browse through different folders on the volumes (provided you have them mounted). Click on the Cog Wheel icon. 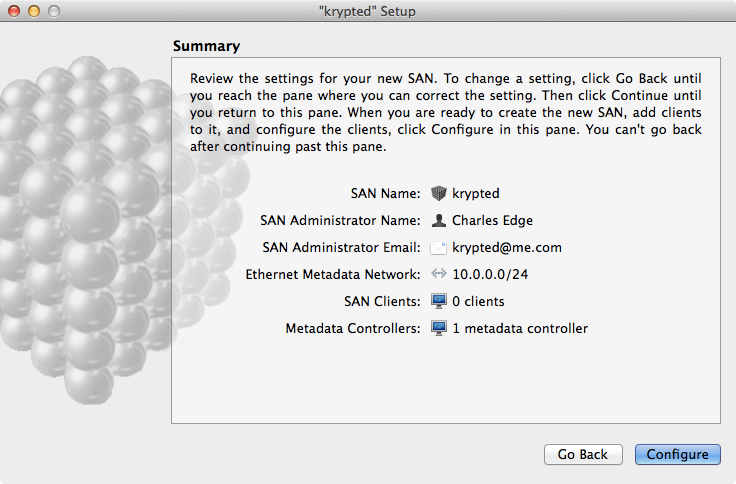 At this menu you can setup an affinity (which maps a storage pool to a directory), configure permissions (POSIX and ACLs), propagate permissions (applying the permissions configured to child objects of the highlighted directory) and create a directory (which is a useful button to have here so you can build affinities and permissions using this single pane of glass). Click on Quotas. 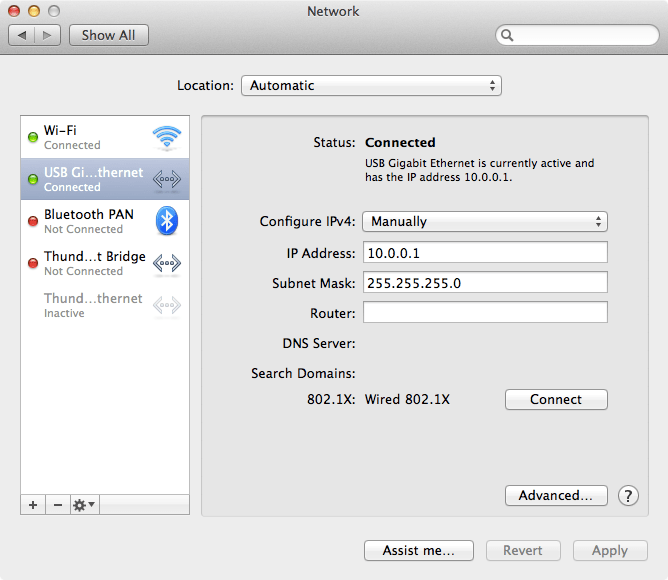 Here, you can configure quotas (as the name implies). 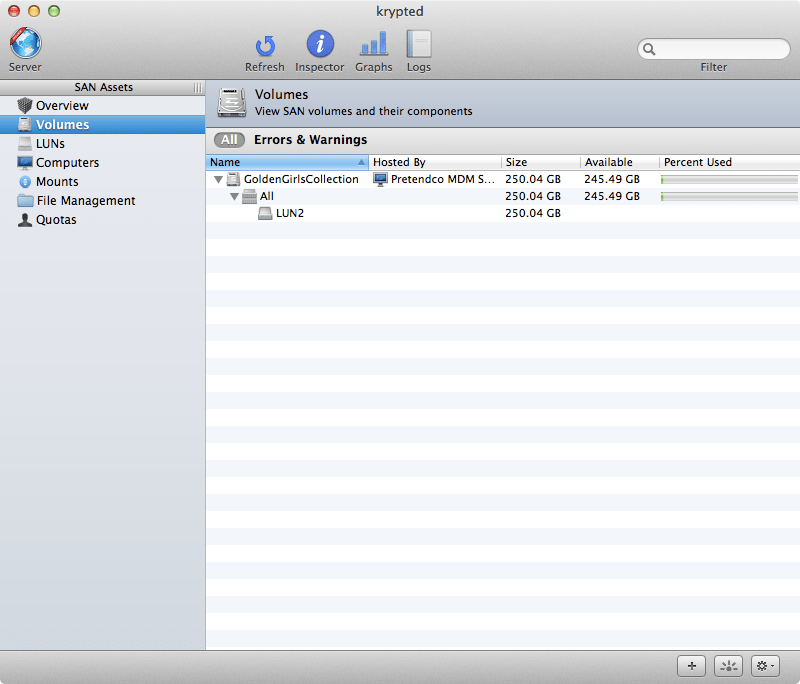 I don’t use these much (I’ve had problems with them but YMMV). If you click the plus sign, you’ll see a list of groups. 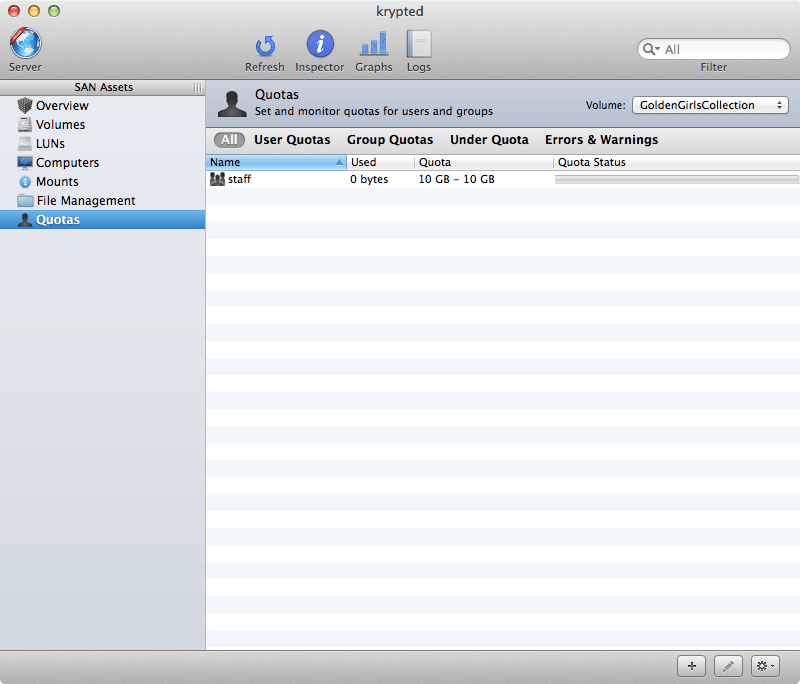 Click each to assign a quota for that user or group. Click on OK to see the objects you just applied quotas to displayed. 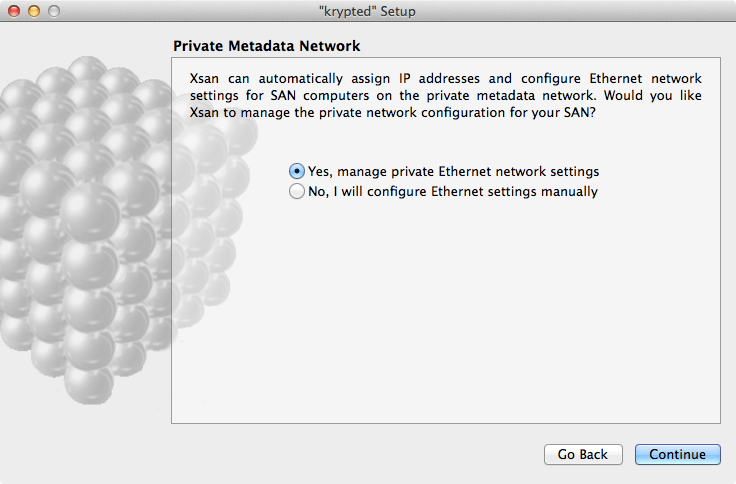 Conclusion Those are the basics of an Xsan. 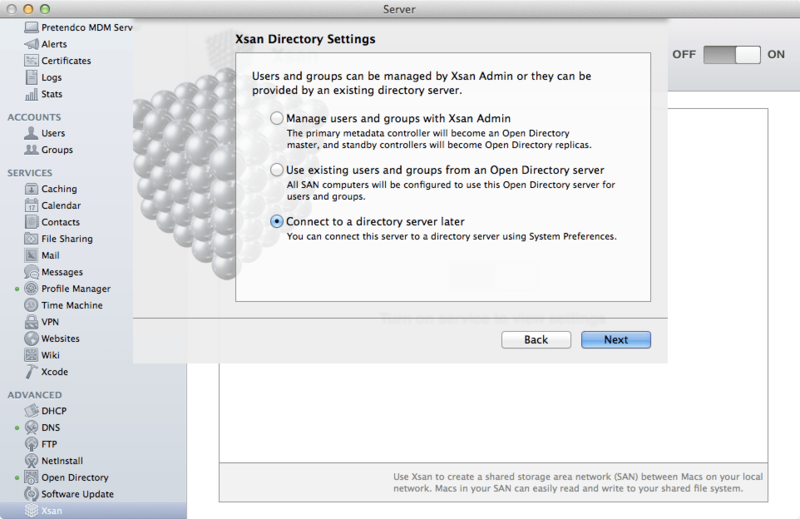 There are a lot of other tasks, like expanding volumes, deleting volumes, deleting clients and re-adding them, etc that you can do as well; however, we’ve configured a basic Xsan and can get into some of those more finely grained tasks as time goes on. 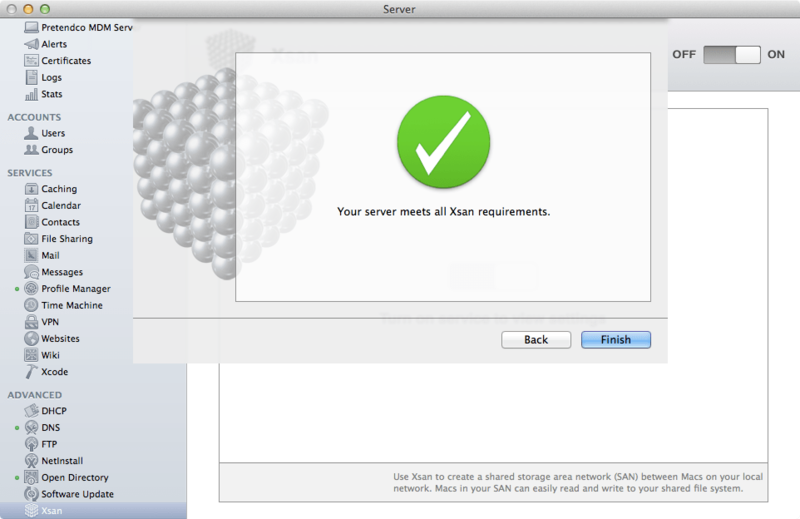 Overall, Xsan in Mavericks is much more stable than ever before and provides as many GUI level options as it ever has. 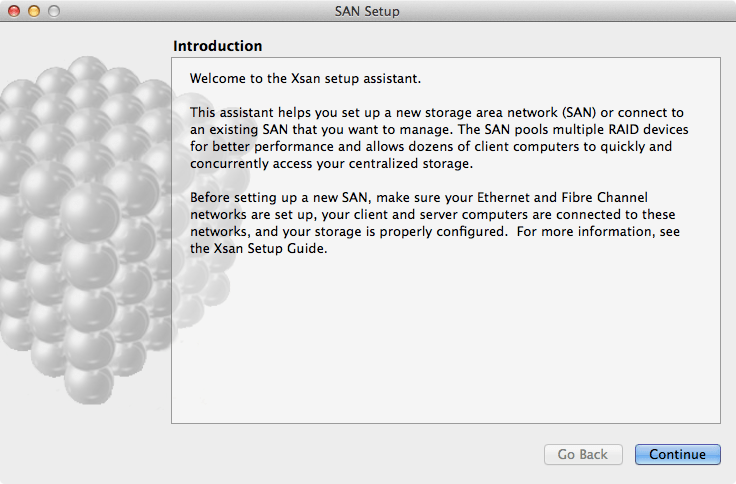 Later we’ll also take a look at command line options for Xsan, but until then, good luck!